The next Lego video game is based on Pixar sequel The Incredibles 2, and – surprise, surprise – it’s coming to Switch. 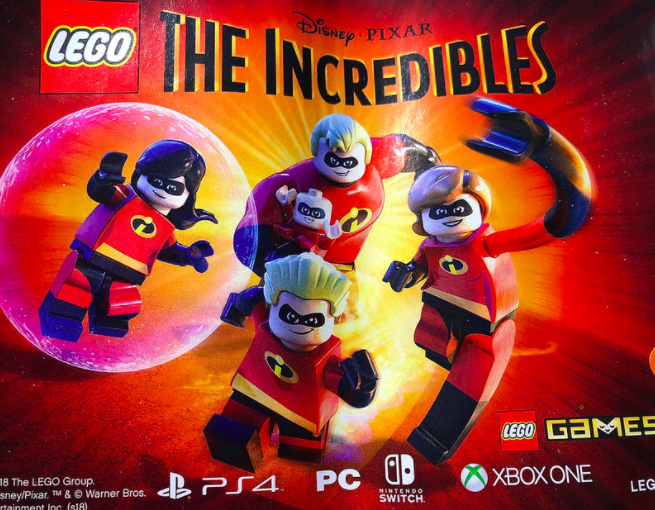 The confirmation comes from in-store promotional material for the actual Incredibles Lego toy sets; the photo above was taken by a staffer at Walmart. This is the first time that a Pixar movie has had its own Lego-based video game. As well as Switch it will be coming to PlayStation 4, PC and Xbox One, with TT Games handling development as usual.